The DSX Tuning flex fuel kit is the original plug and play solution to adding flex fuel on Gen IV/Gen V GM V8 vehicles. Use these kits to add the ability to run anywhere from straight gasoline to straight ethanol as well as reveal the true power potential of your setup. Forced induction scenarios especially benefit from the use of ethanol, and these allow you to seamlessly switch between gasoline and ethanol without having to monitor your fuel content or reflash your tune. 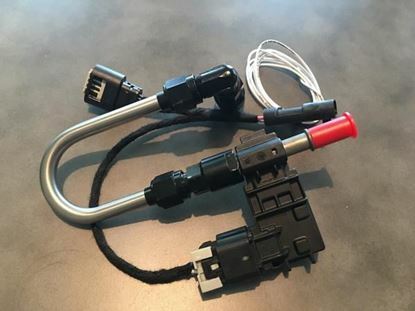 This kit uses: Genuine GM Flex Fuel sensor Plumbing kit made of corrosion resistant materials to ease installation Plug and Play wiring harness made with OEM connectors and terminals crimped with OEM tooling DSX Tuning 3D printed fuel line disconnect PLEASE NOTE: It is possible to install this kit without tuning, but you will not gain the ability to switch fuels until the functionality is activated in the ECM through HP Tuners or EFILive.